Yelp, the online restaurant review system, can be a great resource for those trying to find your restaurant. But it can also be your worst enemy when people have a less than satisfactory experience. Despite some problems, Yelp is being used and your restaurant needs to be on it to be found. In 2013, there were over 117 million users worldwide, according to The Globe and Mail.com. But one thing you should never do is attempt to purchase positive reviews. 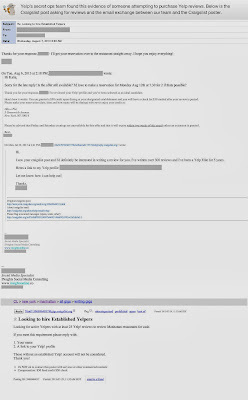 Take for example this Craigslist posting that was caught red-handed purchasing positive reviews (image below). This is from a now common concept called astroturfing where businesses write fake positive reviews or hire people to write them. Just DON'T DO THIS. NPR did a special report and found that 25% of Yelp reviews are fake. Want positive reviews? Focus on good food and great customer service. Want to get better ratings? Reply to the customers who complain and work to make their experience better next time. But then again, Yelp has had its own issues with this dilemma in the past. But here is what you should do with Yelp. If you are not already set up as your business, first go to the site and search for your business. Yes, you are likely already there despite not having signed up. You can click on the work here, unlock this business page button to take over your page. Then start with the basics, update your profile page, add lots of interesting images of tasty food and a restaurant full of customers. DO NOT POST IMAGES OF AN EMPTY DINING ROOM! When positive reviews come in, don't just ignore them. You can reply with thanks and you can even use the best quotes on your own website or other social media. Now, what do you do if you get a negative review? What if a review just seems false? Like they post that they heard you had bad sushi when you only serve pizza? 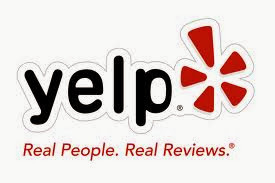 As a business who has taken ownership of your Yelp site, you can flag these false reviews. 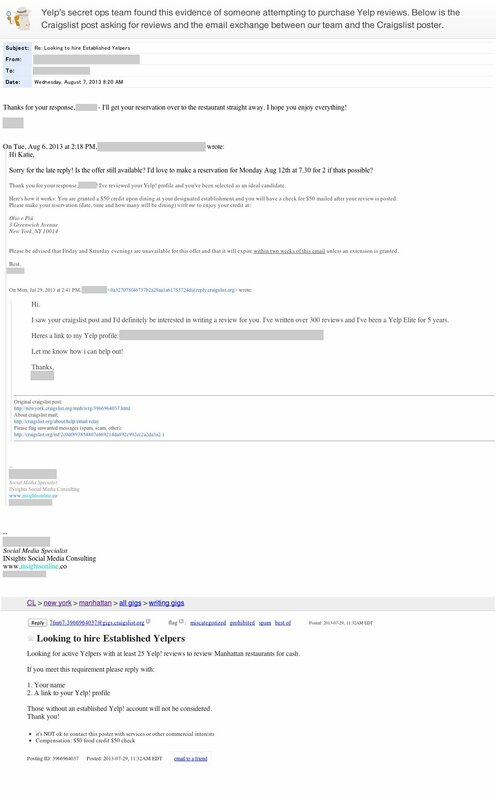 Brandon Suyeoka on Huffington Post writes that the best way to handle negative reviews is fix the problem and let people know that you are working on resolving the issue. There are a ton of other tools available for businesses with Yelp, so visit the Yelp for Business site to learn more. You can always visit our social media so you don't miss a thing! Visit us on Facebook, Twitter, Instagram, Google + and Pinterest!